20th Oct 2013 There were good views of the high-tide from Pickerings hide today. It came over the lower edges of the marsh and pushed the waders further up the marsh. The waders were unsettled and we guessed there was a peregrine about: every fifteen minutes or so they were up, flying high over the marsh or low - out across the river. Each time they came back to a slightly different patch to roost, making counting them very difficult. amongst the dunlins and redshanks. At one point fifty two golden plovers arrived with the lapwings but they only stayed for ten minutes or so. 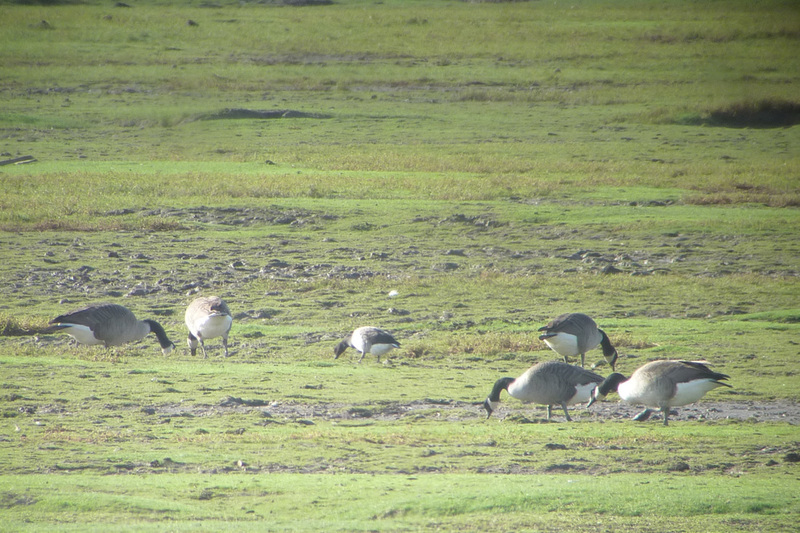 The pale-bellied brent goose is much smaller than the Canada geese. off up-river and peace was restored. from under the crow’s attack: sometimes she left it too late and they knocked her off balance, quickly to recover and go into the next attack. 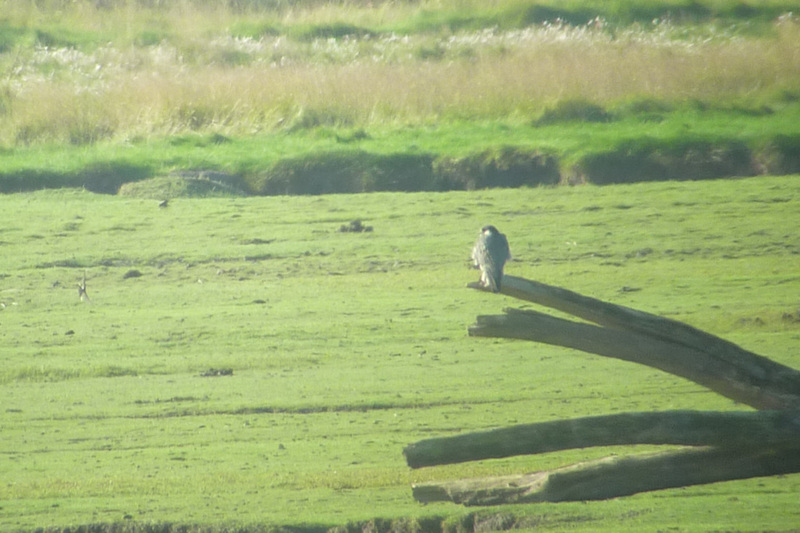 The peregrine takes a rest after her conflict with the carrion crows.